Aziz Al-Azmeh est professeur à la School of Historical and Interdisciplinary Studies du Central European University (CEU). Il est le directeur du Center for Religious Studies (CRS). Ses livres précédents (en anglais) sont An Essay in Reinterpretation (1982) ; Muslim Kingship : Power and the Sacred in Christian, Muslim and Pagan Polities (2001) ; Islams and Modernities (3rd edition, 2009) ; et The Times of History : Universal Themes in Islamic Historiography (2006). Based on epigraphic and other material evidence as well as more traditional literary sources and critical review of the extensive relevant scholarship, this book presents a comprehensive and innovative reconstruction of the rise of Islam as a religion and imperial polity. It reassesses the development of the imperial monotheism of the New Rome, and considers the history of the Arabs as an integral part of Late Antiquity, including Arab ethnogenesis and the emergence of what was to become Muslim monotheism, comparable with the emergence of other monotheisms from polytheistic systems. Topics discussed include the emergence and development of the Muhammadan polity and its new cultic deity and associated ritual, the constitution of the Muslim canon, and the development of early Islam as an imperial religion. Intended principally for scholars of Late Antiquity, Islamic studies and the history of religions, the book opens up many novel directions for future research. 8. 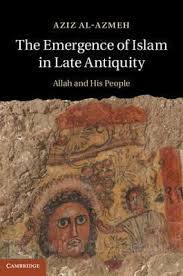 Retrospective and prospective : Islam in late antiquity and beyond.